Restorative Dentistry is a very valuable discipline in field because a tooth may be damaged in so many different ways and for so many different reasons. There are different kinds of restorative options that a patient may enjoy and Upland dental crowns are recommended best when a tooth or more teeth are badly damaged by decay, cracked or broken, and when composite resin cannot be used to restore them. Crowns may also be prescribed as a final restoration for root canal treated teeth because the procedure renders the tooth fragile or brittle, and the dental crowns will give due protection and strength. 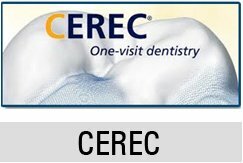 Dental crowns are ideal for cosmetic masking of teeth that have been stained or discolored. Dental crowns can restore teeth that have been chipped, fractured, cracked or decayed. Dental crowns can be prescribed for teeth that have extensive and large dental fillings offering more retention and strength, as well as improving the appearance of the tooth or teeth. Dental crowns are also best indicated as a final restoration after a root canal treatment because it protects the tooth from fracture and discoloration that is almost inevitable in such cases. Dental crowns helps to permanently whiten teeth, more permanent than what traditional teeth whitening procedures are able to achieve. Dental crowns can straighten teeth that are crooked, rotated and malpositioned —giving patients a more attractive smile. Dental crowns may be placed over dental implants. A dental implant is like a screw and when it is embedded in the bone, the screw will replace the roots of the lost tooth and the cap will serve as the crown. Tooth crowns can be made out of gold or porcelain fused to the gold base for aided strength. With the new dental technology, crowns can be made entirely out of ceramic and porcelain material for better aesthetic appearance. Crowns are prescribed by Upland dentist Dr. Zaveri for the repair of decayed, damaged and broken teeth. The tooth needs to be prepared and its surface structure is eliminated. After fabrication in the dental lab, the crown is then cemented to the tooth. With good oral hygiene and proper dental care, your Upland dental crowns will serve you for many years and will enhance your oral health and beauty of your smile. Call your favorite General and Cosmetic dentistry in Upland, Alta Dental Care today to repair that damaged tooth. Make an appointment with Dr. Zaveri by calling 909-985-6116.